We have quickly become the largest free music and art festival in the region. People come from all over Los Angeles County to experience FREE fun for all: Live Bands, Craft Beer, Food Trucks, the Artisan Market, and Kids Fun on the first Sunday in June at Library Park. Through our event, people are discovering Monrovia and they're returning throughout the year to shop, dine, and use services. 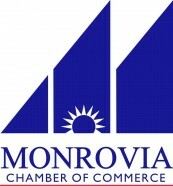 We love being part of what makes Monrovia thrive.